We’re just over one day away from the Minecraft Marathon, and we need our viewerbase to pull together and help us promote this charity event! You can tell people about Minecraft Marathon in many different ways, but one important way is Reddit. 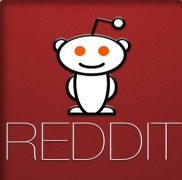 For those unfamiliar with Reddit, it is a website that people can go to in order to share and view content. Reddit has many different sub-Reddits, including one for Minecraft! Our goal is to get enough people to comment and vote on our post that it moves to the top of the Minecraft forum, and maybe even to the front page of Reddit!